Now we won’t deny that we at Drink me Chai love a good Hot Chocolate. In fact, we’ve created a whole product that can be described in no other way than a healthy Hot Choc. But we’re just a little (teeny weeny) bit upset that the Hot Chocolate has two entire days celebrating its existence across the world, one being December 13th and the second being January 31st, and yet the humble Chai Latte doesn’t really have one. Chai Latte is one of the fastest-growing value hot beverages in the UK, above peppermint & green tea! Almost 800,000 tonnes of chai are consumed a year in India alone, so globally that’s a number too high to count to! Chai is top of mind for people searching for hot beverages online worldwide. Chai Latte is 99% caffeine free, so perfect for a night-time drink! Ginger which is one of the spices found in Chai Latte may help improve digestion. Can be used to create unique flavours in cooking & baking as well as in drinks. It is the perfect drink all year round; comforting & warming in the winter & delicious iced in the summer – a hug in a mug. And most importantly, it tastes really good! 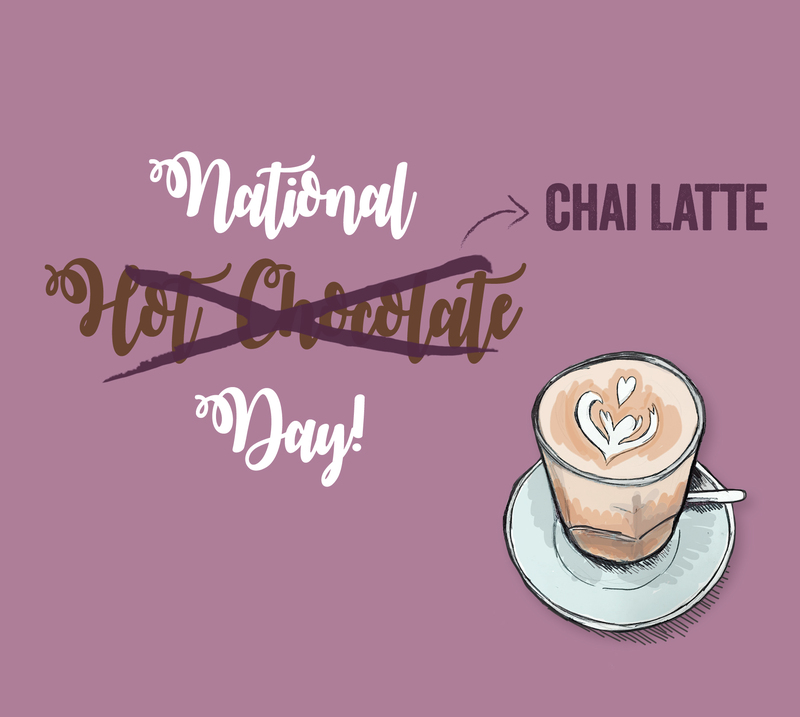 That’s all we really wanted to say really…tell us the reasons you think Chai Latte deserves it’s own National Day below! Pop-Up Shop, until we drop!